Full Description: A beautiful drive to the country on a hard surface road & you won't believe what we will show you: a luxurious country estate nestled in the heart of some of the best hunting Missouri has to offer! The property comes complete with deer, quail, pheasant, turkeys & more wildlife, stocked ponds & lots of groomed trails for riding 4-wheelers or horses. This magnificent home offers so many amenities that you will think you are in paradise. The windows are all new & offer views that you will see beyond every day. 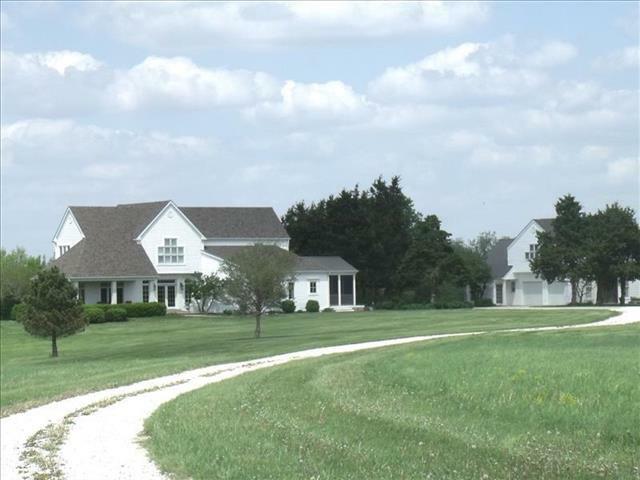 There is a guest house, large barn for horses & very large shed w/living quarters, large garages and kennels. Three Bedrooms in the home and open bedroom space in the carriage house and sleeping quarters in the barn (lodge area) also. Call Tiger Country Realty for your personal showing today! 660 385-7297.r .